includes 10 Bikes and Programming Group of fully adjustable child sized Semi-Recumbent Exercise Bike. These executive bikes come in bright yellow or purple-red graphics. Package comes complete with lesson plans. 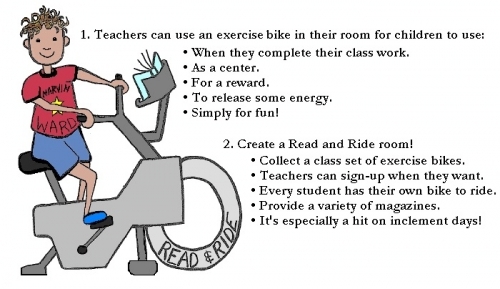 The KidsFit Elementary Semi-Recumbent Exercise Bike is a fun way to get your kids to exercise. No matter the weather! This exercise bike is designed for kids ages 6 to 11 years old. The Cardio Kids 655 Semi Recumbent Elem is the smallest commercial, semi-recumbent exercise bike that's specifically engineered to provide comfortable exercise for young kids. Features include curved handles at the front of the bike and at the seat for comfort. The seat and back are adjustable and comfortable. The pedals include adjustable straps for safety. Call 1-800-875-9145 to speak with one of our fitness advisors with any questions you may have. 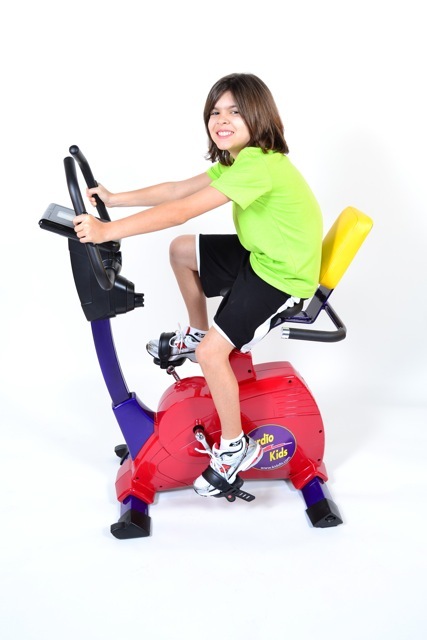 How do we put a price on our kids overall wellnes and their future - Go to FitnessZone.com today to order the KidsFit Elementary Semi-Recumbent Exercise Bike and let's give our kids the advantage they deserve. Order your Cardio Kids 655 Semi Recumbent Elem from FitnessZone.com today!